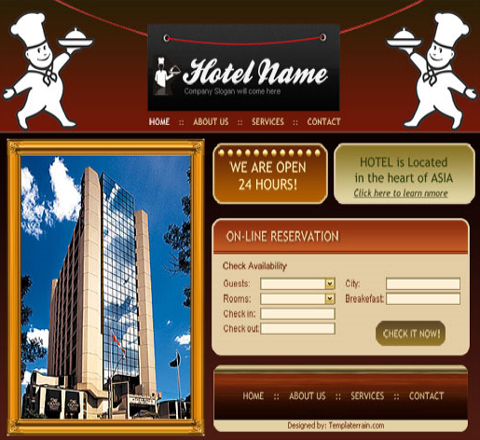 Let’s say you own a hotel which stands out by spectacular interiors, grand architectural features or perfect service. 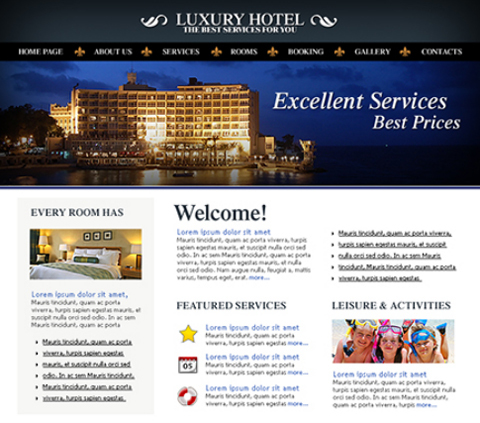 Then why don’t you download a Free Hotel Website Template and build a website to promote your hotel and attract new quests? 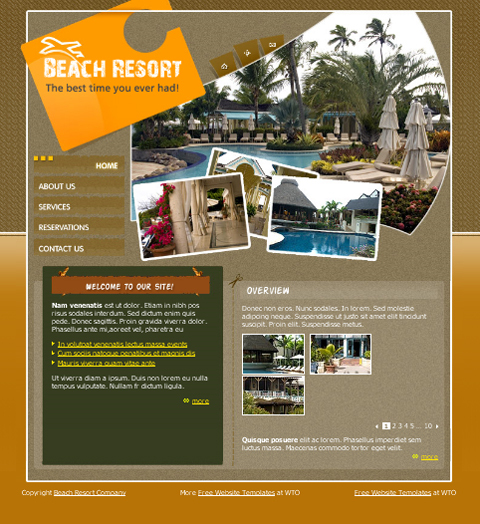 However, not only will the Hotel Website Templates listed here be perfect for hotel owners, but web designers as well. After all, it’s so much easier to customize a template than create a brand new design. 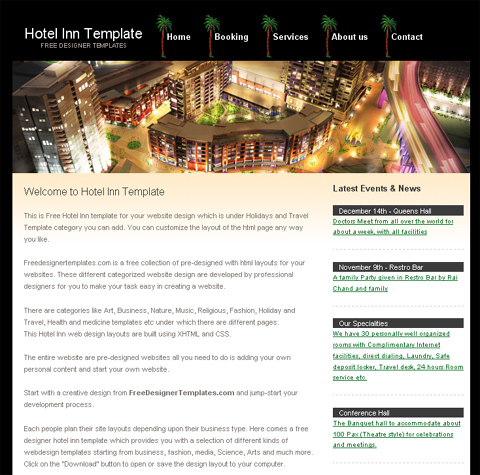 As you may guess, Free Hotel Website Templates are web page designs that allow users build hotel websites and blogs and of course each template is available free of charge. The only requirement is that footer links must remain unchanged. 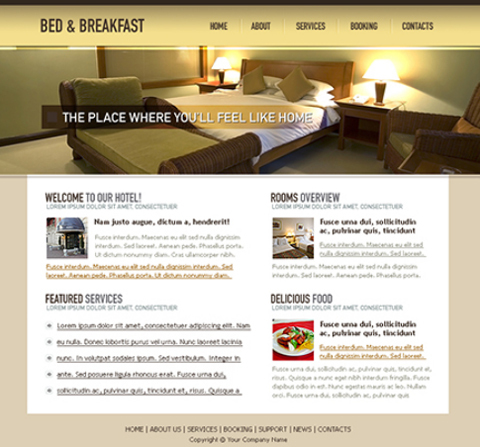 Below you’ll find 10 Hotel Website Templates that are free to download and use. Please check them out and download the template you like. 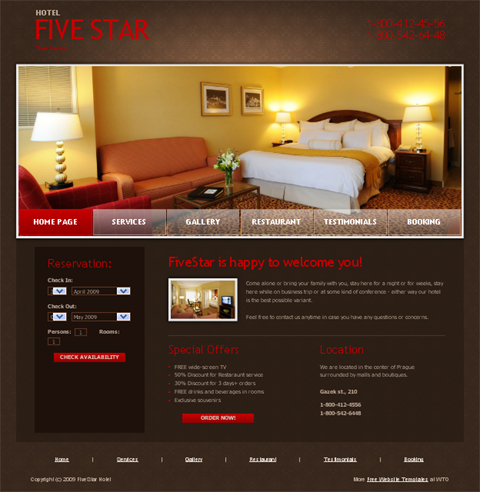 This entry was posted in Free Website Templates, Hotel Website Templates and tagged Free, Free Hotel Website Template, Free Hotel Website Templates, Free Template, free templates, free website template, free website templates, Hotel, Hotel Website Template, Hotel Website Templates, Website Template, Website Templates. Bookmark the permalink. 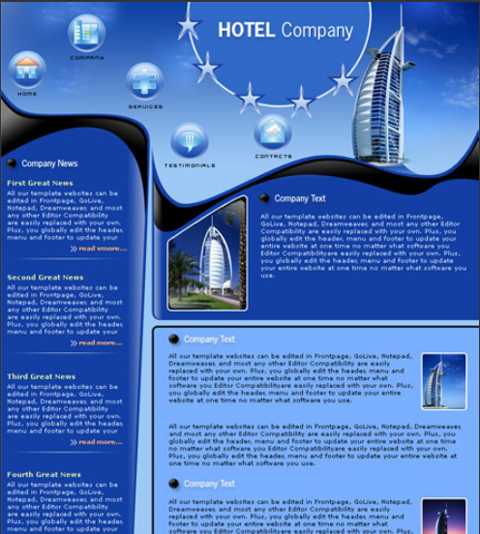 i am a website designer.i love your site.this help me.